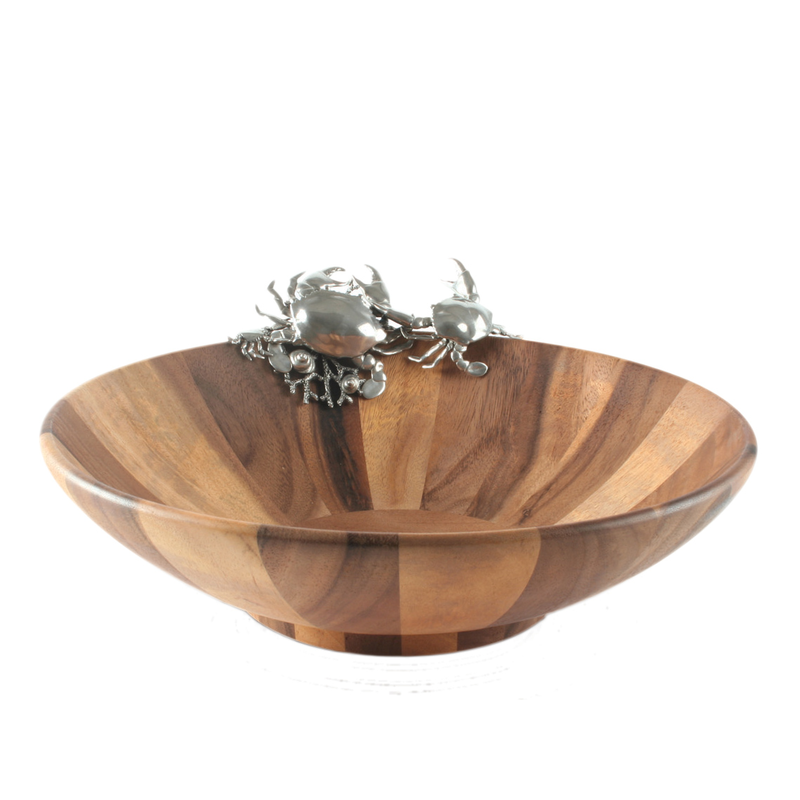 With its beautiful acacia wood accented by a pair of pewter crabs and coral perched on the edge, the Crab Salad Serving Bowl is the perfect addition to your beach dining room. This coastal dinnerware ships from the manufacturer. Allow 3 to 4 weeks. Cannot express ship. For more pieces, we invite you to take some time to review our extensive array of coastal dinnerware at Bella Coastal Decor now.